It is two decades since Jess Steele published her book 'Turning the Tide: the history of everyday Deptford' at the height of the Deptford City Challenge regeneration programme. 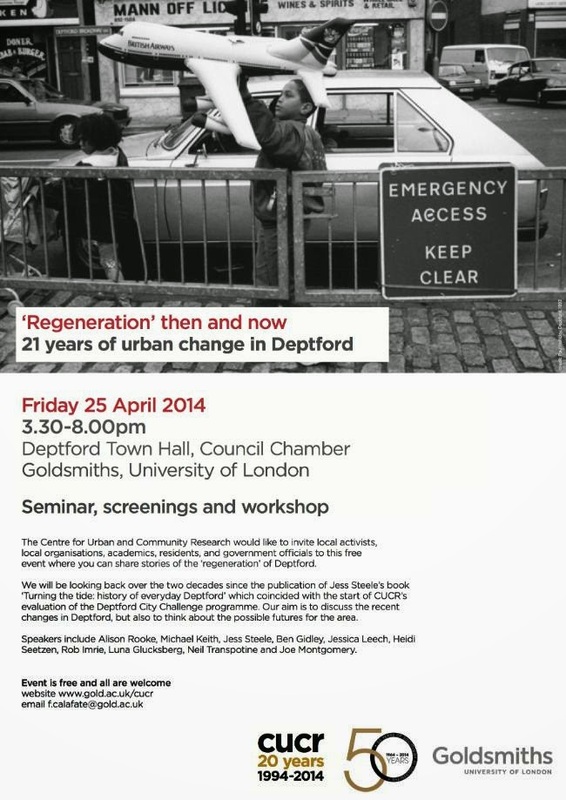 Next Friday April 25th 2014, the Centre for Urban and Community Research at Goldsmiths is holding an event to look at what's changed since and 'possible futures for the area'. - DIY Deptford: regeneration from below? - Convoys Wharf: regeneration or land grab? As you can see I will be having a short 'provocation' spot, there are others local bloggers better qualified no doubt, but with my local history hat on I don't think I will have any trouble filling my ten minutes!